Here comes iPad's bigger brother: iTable - the world's thinnest Multi-Touch coffee table that will change the way you think, work and play. Being only 1/2 inch thicker than a laptop, iTable is truly a magical device raising the bar of future Multi-Touch solutions. The iTable is a truly unique creature of its own kind. It blows your mind away when you see it. People can't believe there is a computer in it. The magical slim tabletop can deliver stunning pictures and multi-touch apps out of nowhere. PQ Labs Inc, developer of the Multi-Touch Screen G3 technology, announced the all new iTable 2010 on CeBIT (Hall 15, Stand F01). iTable is a multi-touch computer as well as an attractive furniture. Sitting elegantly in your living room, company’s lobby or a meeting room, iTable is a magical device that allows you to think, work and play with digital content & apps in a whole new way without using a keyboard or mouse. Equipped with PQ Labs’ True Multi-Touch technology, the table can recognize up to 32 fingers on the screen allowing several people to play with it and collaborate at the same time. Besides fingers, almost any other objects can be used to interact with the screen, such as stylus, pen, glove, bottle, cup, or even diamond, etc. This can add a lot of fun to the interaction and create endless possibilities. 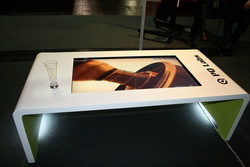 iTable 2010 combines the multi-touch screen, a computer, a 42" display and the coffee table into one remarkably slim piece. "With 1.5 inch tabletop thickness (only 0.5 inch thicker than a laptop), the iTable is a truly unique creature of its own kind. It blows your mind away when you see it. People can't believe there is a computer in it. The magical slim tabletop can deliver stunning pictures and multi-touch apps out of nowhere. ", said Frank Lu, CEO of PQ Labs. 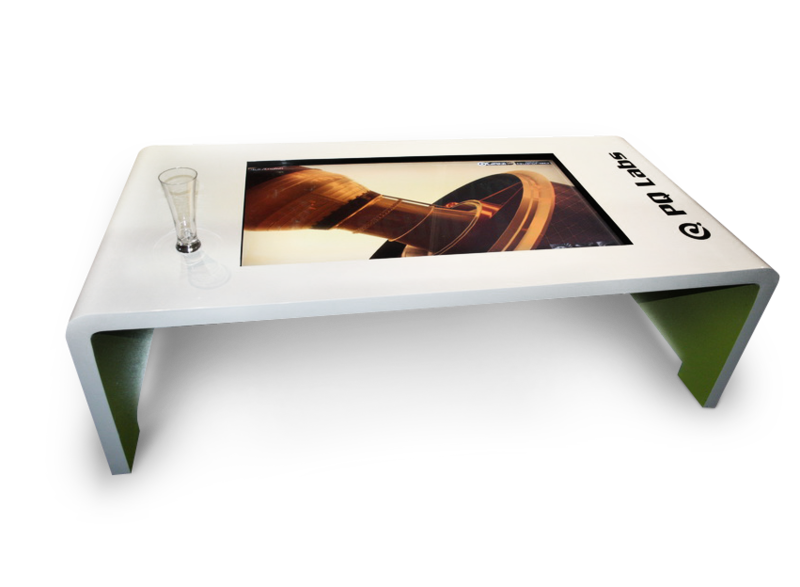 Unlike other multi-touch table solution which is a big enclosed box that you can't put your legs underneath, iTable has no such limitation. You can sit by the iTable for long time without feeling pain in your feet. Embedded in the iTable, there is a 42" Full HD LED screen. The display area is 18 times the size of an iPad, or 144 times the size of an iPhone. The large display make iTable very sociable among guests, friends and the family. Place it in your office, meeting room, hotels, or your living room, it will be an instant attraction. iTable 2010 is targeted at both business use and home entertainment. The business version will be ready to ship in Q2. A consumer version will be cheaper and will be ready by the end of the year. Get your pocket ready to embrace the revolution in your living room. It might be the coolest Xmas gift for your family. It's the time to party around your new iTable! Visit PQLabs.com to find more videos and information. Also make sure to subscribe our newsletter to get informed about the official release date of iTable 2010.